Angra dos Reis is a Brazilian municipality located in the southern part of Rio de Janeiro state. 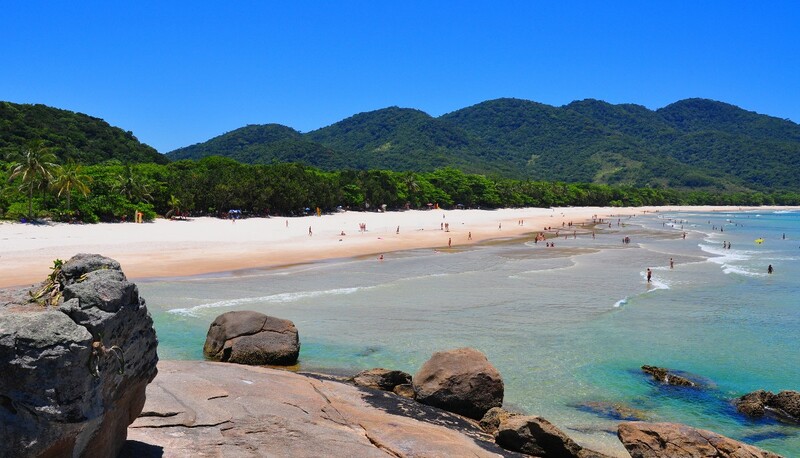 It is 2 hours and 25 minutes away from Rio de Janeiro city. It is a very appropriate area if you are looking for sandy beaches and hot/sunny weather. The average temperature in the coldest month (July) is 17-27C, but most of the year it is around 30C. We went in the middle of April and enjoyed 33C every day and we did not see a single cloud in the sky. I have never been during the high season, but I have heard it can get crowded to an uncomfortable point. So better to choose a good time of the year. I can tell you that mid-April worked great for us. The town itself is not very beautiful nor touristic, but the municipality includes 365 offshore islands, and most of them are fantastic. So if you are planning a trip around this area, you will probably need to find a good hotel or resort outside the town. Ideally not too far from the port, where you can hire boat tours and trips. 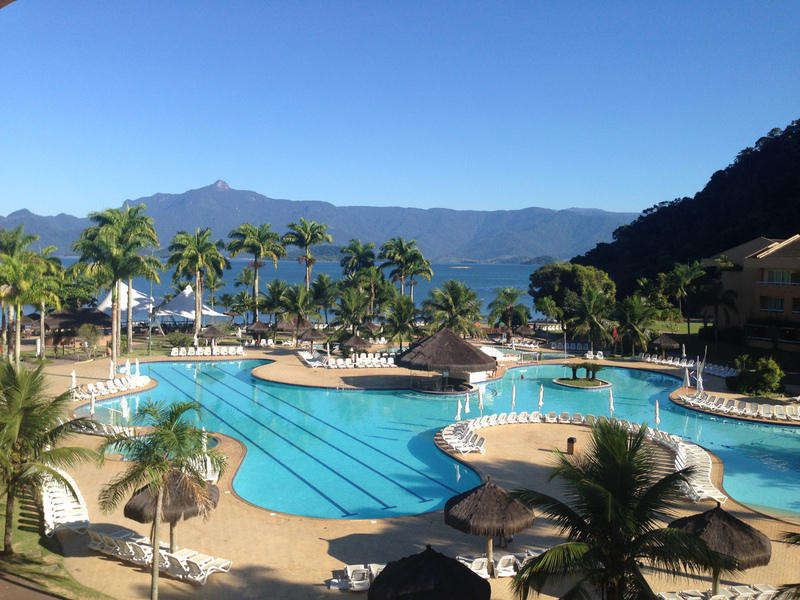 This time, we stayed in a 5 stars all inclusive hotel: Vila Galé Eco Resort Angra. We really liked the place and we totally recommend it. The strongest point is the infrastructure and the closeness between the rooms, the swimming pool, and the sea. The location is also great, with a nice private beach. The pool includes a bar, an Olympic size area for swimming and two other smaller pools for children. They offer a great variety of food, including the main self-service canteen and two restaurants. There is also a bar next to the beach and one in the main building. The drinks are good as well, they do not have top brands, but the caipirinhas are excellent, and the beer (Itaipava) draught is opened for self-service as well. The big downside of the hotel is the Internet connection (which can also be seen as an advantage if you want to disconnect from the World). You can only use one device per room, and normally it does not work. We had to go next to the reception to use it, it was useless to try in the rooms or in any other place. I would also recommend choosing a room in the South wing, on the 3rd floor if it possible, so you can see the pool and the sea from your balcony. Other facilities are a spa, gym, nursery, volleyball, football and tennis court. 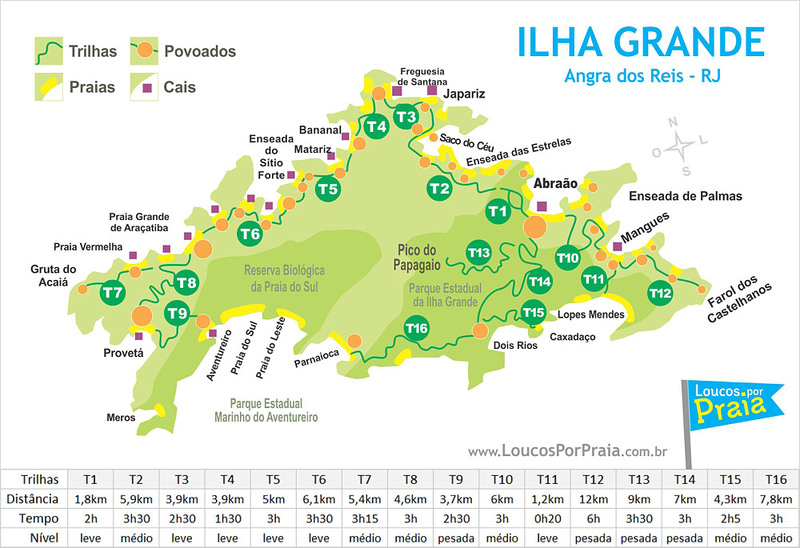 To get to Vila Galé you can take a bus to Angra dos Reis from Rio de Janeiro (~ 3 hours) and then another bus from Angra dos Reis to the hotel (~ 25 minutes). 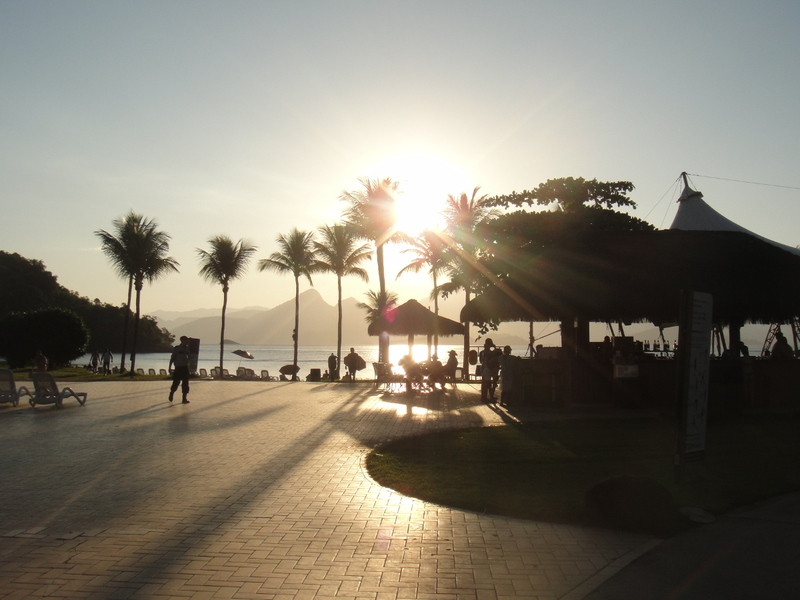 You take the latter from the city centre, next to the port, and it is announced to Vila Velha. This bus costs only 3 R$ (Real/BRL), and it is quite handy if you want to visit the town and/or take a boat from the port. However; the best option is to take a van or taxi. 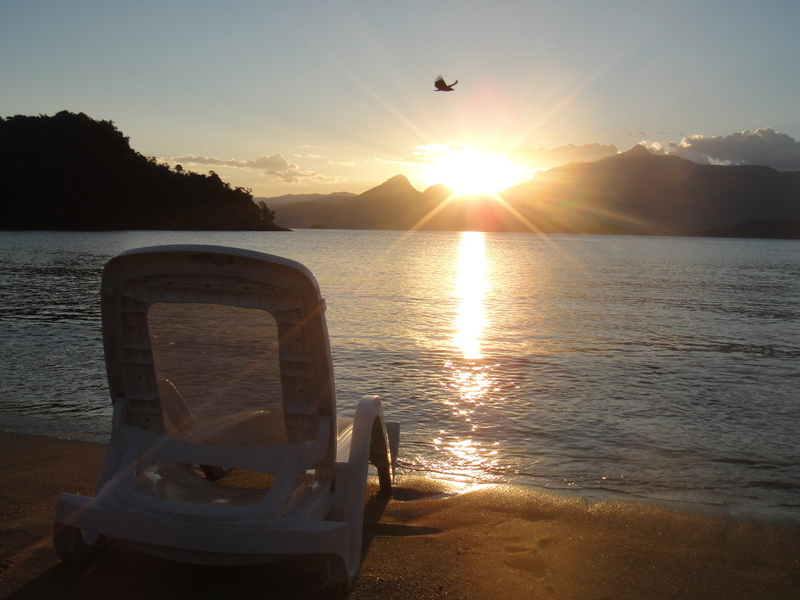 The hotel works in partnership with a company called Angra Way, and they do both transfers and tours. Normally a full day boat trip includes a few items in the following list. We hired a boat in the same beach as the hotel. We paid R$ 1400, and we visited the first 5 items. 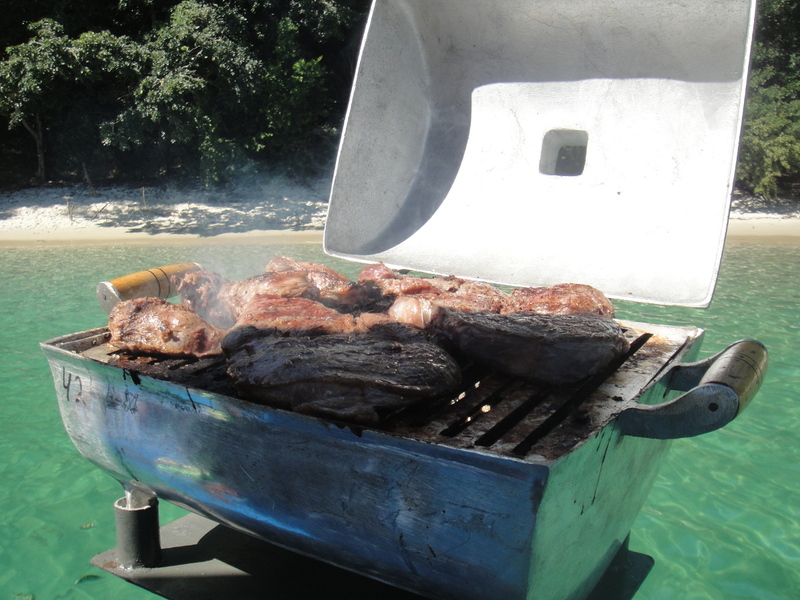 We also had a barbecue which was prepared on the same boat (see picture below). Only 2 stops out of 5 had a pier/wharf. This clarification can be important for those who cannot swim. 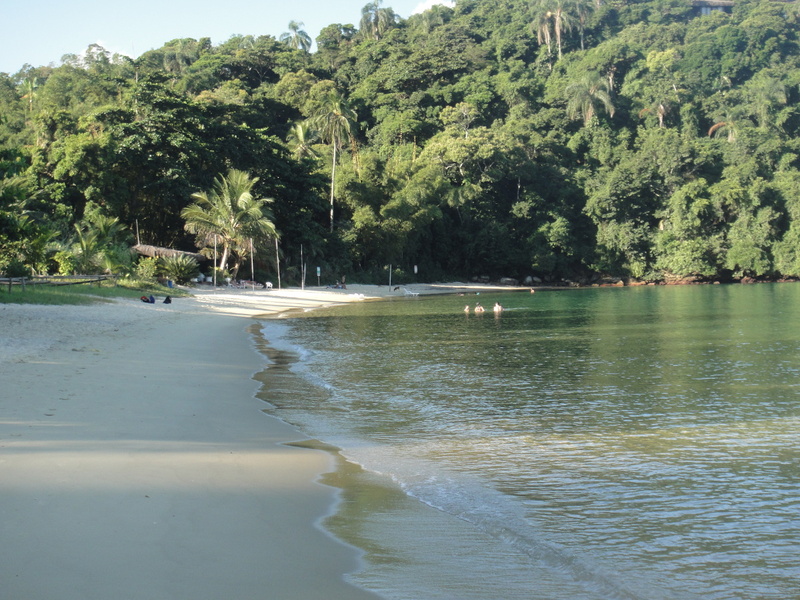 This is one of the hot spots of Ilha Grande (Big Island). Crystal clear water, ideal for snorkelling. Plenty of fishes and also turtles. You can easily see at least 10 meters down. The only problem is the crowd. Is it a very famous place and a lot of boats stop there. Only 20 minutes away from Lagoa Azul, this small beach is beautiful. Ideal for jumping from the boat and then swim to the coast. 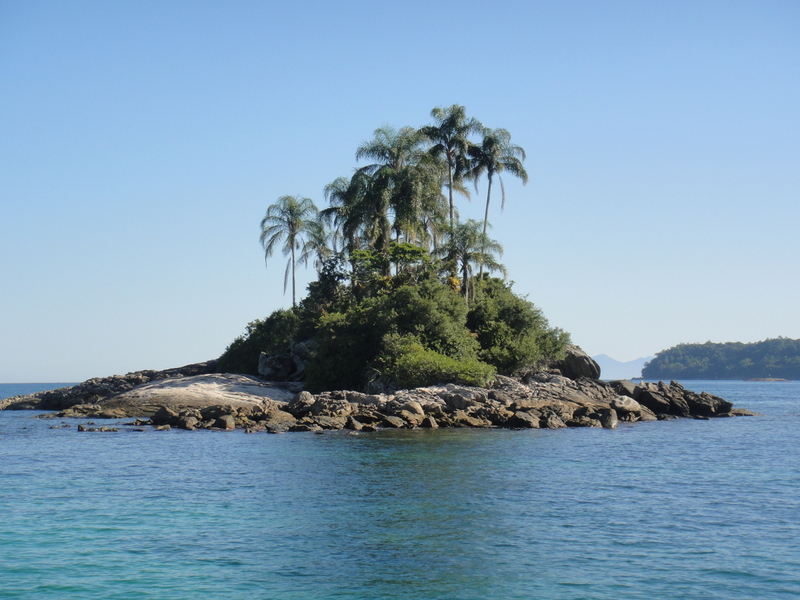 From there you can feel how Ilha Grande remains largely undeveloped. There a few rocky areas that are quite good for snorkelling as well. Two tiny islands in the middle of the sea. Not a lot to do there. You can basically jump from the boat, swim to any of them and climb one of its rocks. Very pretty anyway. There is some infrastructure here, including a pier, a restaurant, and a beach bar. There are also several beaches and even some light hiking trails. So this spot could be a good option to spend a few hours or even a day. This is a wonderful place, also part of Gipoia Island. It is very relaxing and calm. Its main spot is a small beach with the sea at both sides. There is a tiny and pretty white church (see picture above), which I guess it is related to its name (religious or reverent). There are a few little and picturesque houses and two piers. Overall it is a very original and pleasant place. Another prominent tourist spot. 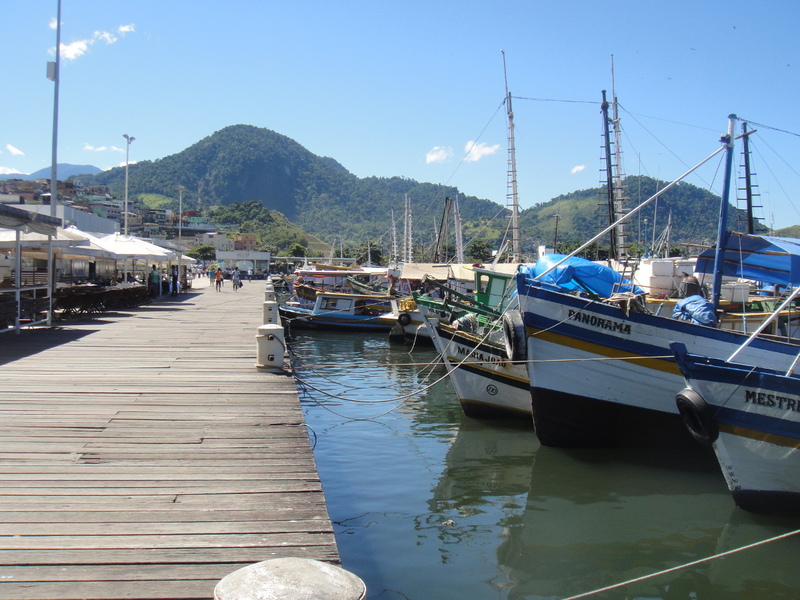 You can take a boat from Angra Dos Reis for R$50, which takes around 30 minutes. Being close to the town makes it handy, but also crowded. Better to avoid weekends and high season to visit it. Walk (hike) to Pouso (Mangues) taking T10 and then T11 as option 1. The former path is 6 km long and takes about 3 hours. If you like hiking, adventures, rainforests, animals (monkeys) and/or nature this should be your option. Do not forget your bottle of water. Wonderful place! Nice people evereywhere! The Hotel Vila Galé Eco Resort de Angra was built in the old Tanguá Farm and still preserves some of its original buildings. It is surrounded by absolutely stunning nature and beautiful gardens full of flowers, even a Japanese one. Through the use of natural materials and local vegetation, there is a complete integration with the tropical landscape , the warm sea and the eternal white sands of the beach. In front of them, green, grey and blue hills as a perfect harmony with the environment. Some call it “Paradise on Earth”. It was for me and my family, in spite of being eighteen!! Good food, music, everything for children and adults, crystal clear pools, coconuts and palm trees, birds and even small monkeys among the jungle, peace… Located 13 km. from the center of the city and 150 from Rio de Janeiro. Sports, a spa inviting guests to a variety of massages and relaxing treatments, boat tours to the different islands , baby sitter, etc. The place I will never forget………….